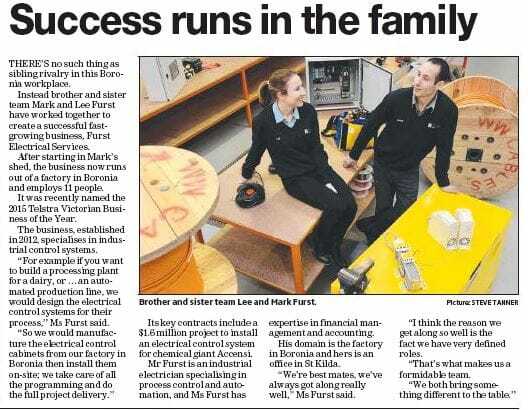 Pick up a copy of the Knox Leader to see a feature about Furst Electrical Services. The newspaper takes readers behind the scenes at Furst Electrical to share who we are and the ingredients for our business’ success. You can also read the article by clicking on the image thumbnail.